Description: Gents SuperQuartz wristwatch with Analog and 12/24 hour digital display with black dial. 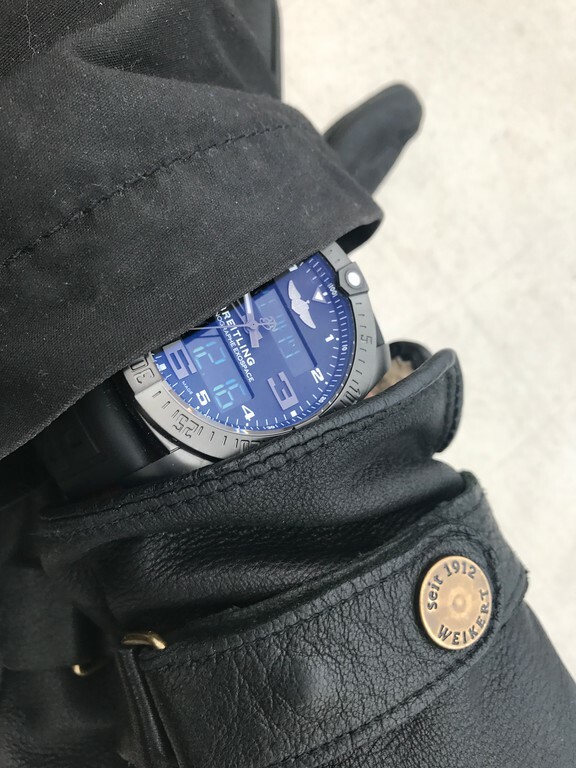 Featured on a Black Diver Pro III rubber strap with DLC pin buckle (154S/M20SS.1). 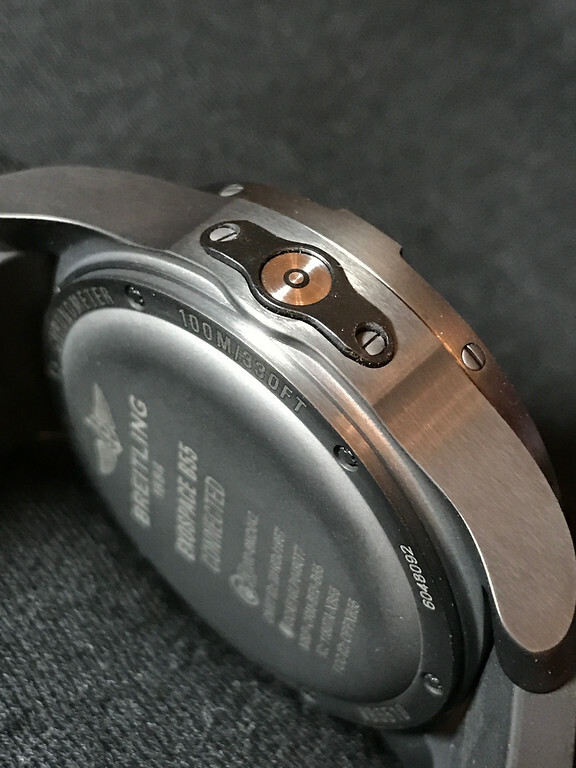 This is the first foray into the 'connected' world for Breitling. Assuming the company continues to exist under its vice president Jean-Paul Girardin I think there may be others. 2) transmit / record data from the watch to the app and then onto your computer for analysis (via csv output). It is not a 'smart' watch in the idea of the throw away 'tech'. 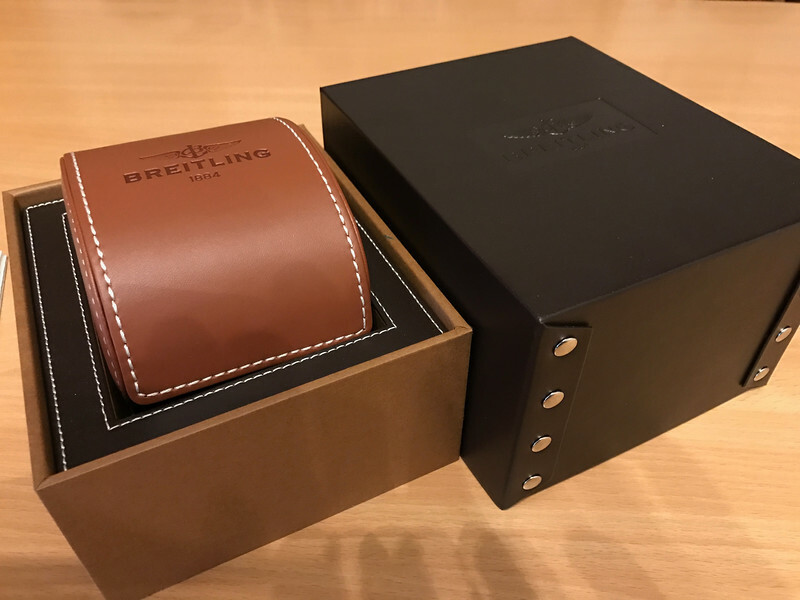 It is still very much a Breitling. It can quite comfortably continue to be used without connecting to a phone. 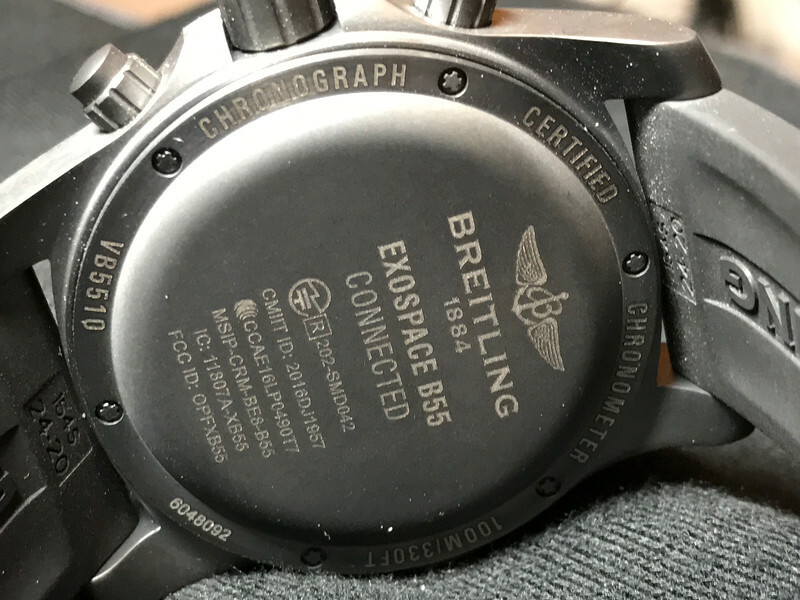 It is designed like any other Breitling to keep running for many years to come way after the iPhone/Android is a distant memory. 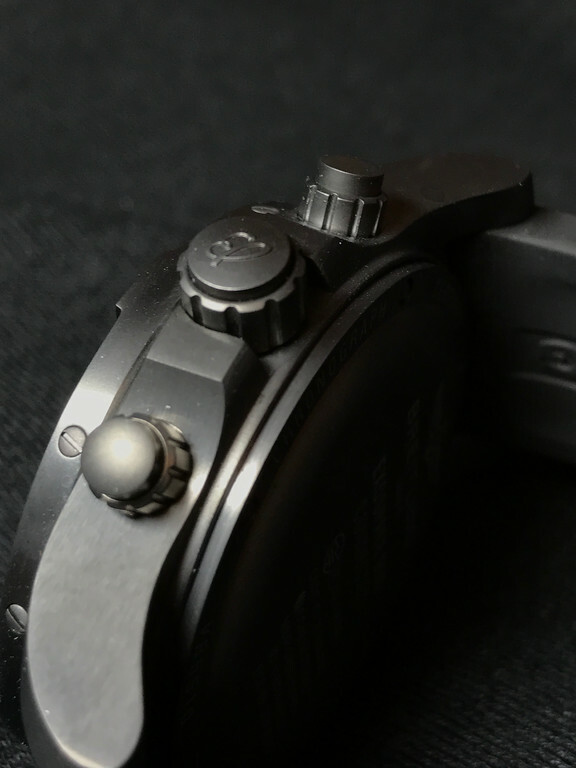 It is true successor to the B-1 which was first released in 1996 and subsequently with a SQ movement in the 2000's. I had a B-1 for a very long time, and only let it go when I superseded it with a B50 and (long story) now the B55. 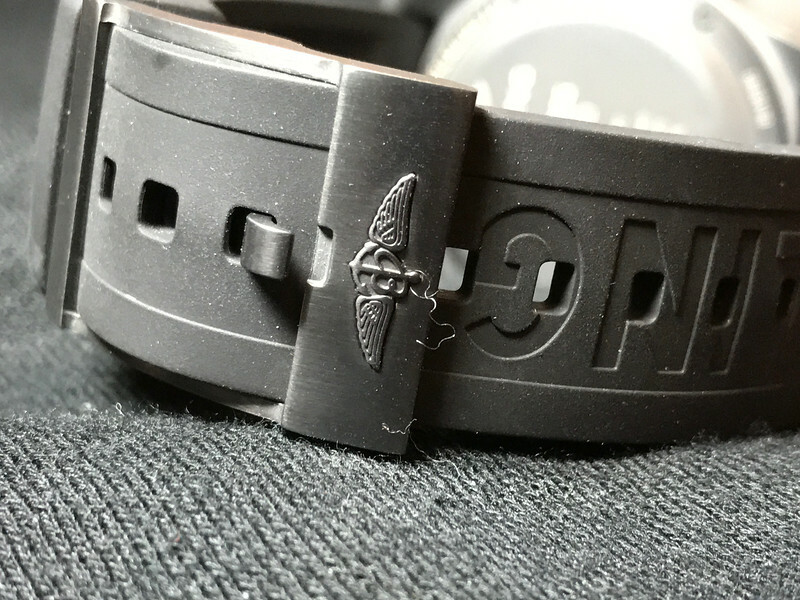 [*]Increased water resistance to 100m (from the 50m of the B-1) - so I have problem swimming with the B55 - I did with the B-1 but only before having the wrt tested. 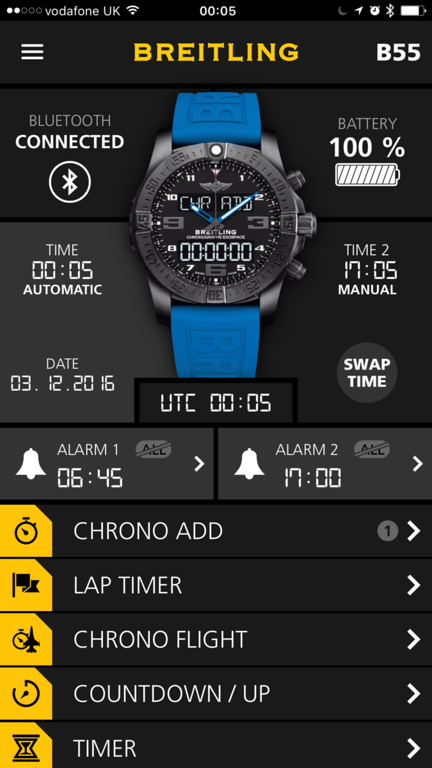 [*]Very neat 'swap' feature on the two time-zones - one button exchange of TZ1 and TZ2 and back - very useful when travelling so no-more fiddling with changing the hour / minute hand. [*]10 year expected life, rechargeable battery - with something like 2months between changes depending on feature use. [*]7 alarms (instead of 2), each set a a different time of day and each can be programmed to function on all or any one or more day of the week - which means at extreme you could have a different alarm time each day of the week if you wanted. 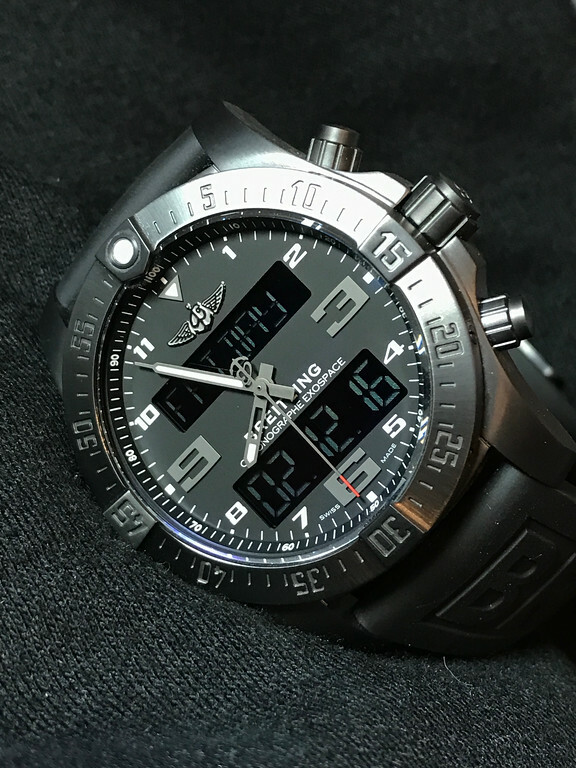 I will not cover the multitude of functions here as they are all over the internet and youtube - here is a link to the interactive guide from Breitling: Breitling Exospace B55 User Guide. Next Topic: Back in the fold!